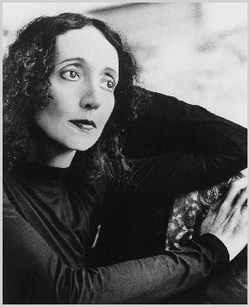 Joyce Carol Oates has produced some of the most controversial and lasting fiction of our time. In a prolific and varied career, Oates has proven herself one of the most influential and important storytellers in the literary world. She has been nominated for the Pulitzer Prize four times, and is mentioned each year as a possible winner of the Nobel Prize for Literature. Oates is the author of more than 100 books, including best-selling novels, short story collections, poetry collections, plays, literary criticism, and essays. Her novel THEM, set in racially volatile 1960s Detroit, won the 1970 National Book Award. BECAUSE IT IS BITTER, BECAUSE IT IS MY HEART, focused on an interracial teenage romance. BLACK WATER, a novel based on the Kennedy-Chappaquiddick scandal, earned a Pulitzer Prize nomination, and her national bestseller BLONDE, a work based on the American icon Marilyn Monroe, became a National Book Award finalist, and was nominated for the Pulitzer Prize. Oates' work frequently has dealt with themes of sexual abuse, desire for power, and violence. She is a Distinguished Professor at Princeton University where she teaches creative writing.